Keeping up with the government’s initiative to build a better & greener Pakistan, Fauji Fertilizer Company (FFC) has also pledged its support for the national cause. In this respect, FFC organized a National Tree Plantation Drive with the slogan “Plant for Pakistan”. 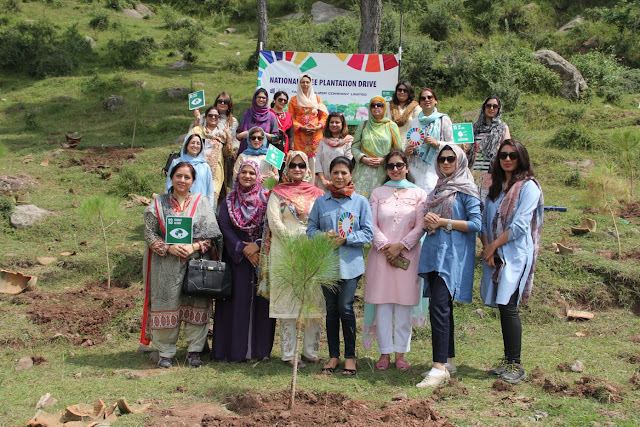 The tree plantation drive was organized on Murree Express Way from Maysouri to Lower Topa. A total of 1000 Pine trees were planted taking on board Forestry Department and implementing partner “One Cause, One Path”. This drive was organized as a part of FFC CSR activities highlighting the company’s commitment towards environmental conservation and societal betterment.